MICHIGAN GREAT | MICHIGAN GROWN. MICHIGAN GREAT. Precision agriculture really helps us understand and know exactly what is being applied so we apply only what’s needed, we don’t have a scenario where we’re over-applying, and ensure that we are producing a crop in a safe and a nutritious way. Really as farmers, we care about quality, nutritious food, not only for our own family, but for yours as well. We eat the product just like consumers do. We get to see it from beginning to end, so we do our best to try low-stress cattle handling techniques. If you’re calm while you’re working cattle, they will be calm too. A good environment for the bird makes a quality, nutritious food for everyone, and that’s something we take pride in. It’s very important to us to have a quality bird. If I personally wouldn’t want to feed it to my family, I wouldn’t want anyone else to feed it to theirs. 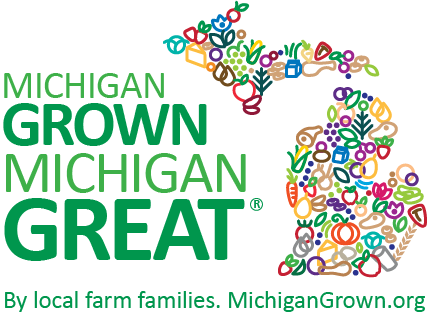 No matter what kind of egg you buy, the easiest way to support Michigan egg producers is to eat more eggs. We treat all of our animals with respect to give our product integrity. Even though I’m a Michigan farmer I’m also a consumer, too. So everything we produce on our farm has to be safe for my family and your family. We take it very seriously making sure that we produce a safe, wholesome, healthy product every day. As we make decisions here at Pridgeon Farms, one of our main commitments is that in every decision that we make we want to make sure it is for the best health of the animal. Whether it is how we feed an animal to how we care for an animal, how we make sure that animal doesn’t get sick and continues to be healthy. We firmly believe that a health animal leads to a healthy food supply. I think we grow the biggest and the sweetest blueberries here in Michigan, so I think if you’re in the store and you have an option to pick a Michigan-grown blueberry versus another, I think you won’t be disappointed if you pick that Michigan choice.